In the row below: Lena Arnell (Artipelag), Josefine Milton (Hotel Villa Anna) Charlie Edlund (Steningevik) and Maria Paulsson Rickle (Grand i Lund). 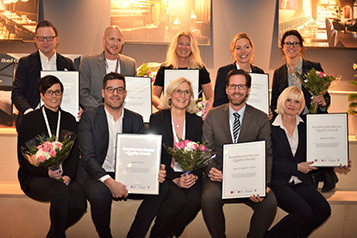 Vår Gård Saltsjöbaden has received Honorable mention 2015 in the GUEST perspective. 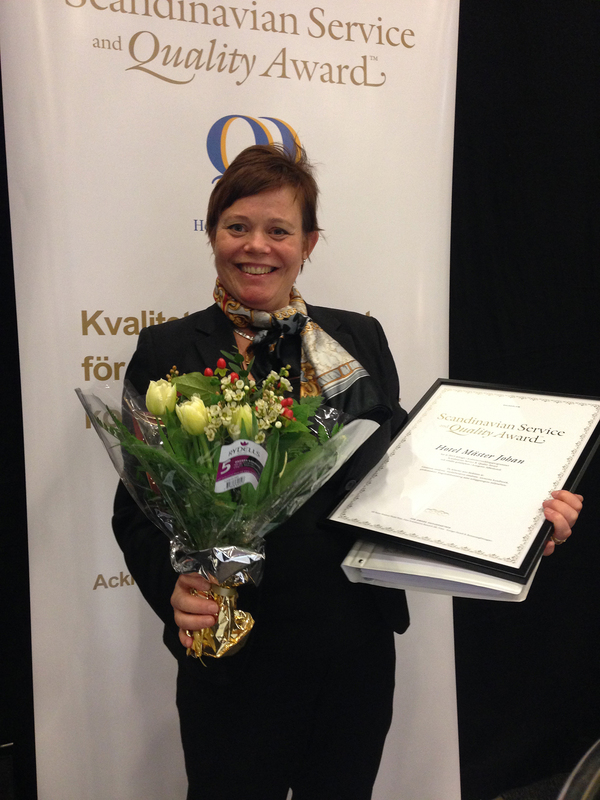 Vår Gård Saltsjöbaden has also been awarded best Conference Hotel and The Grand SSQ Award 2013. 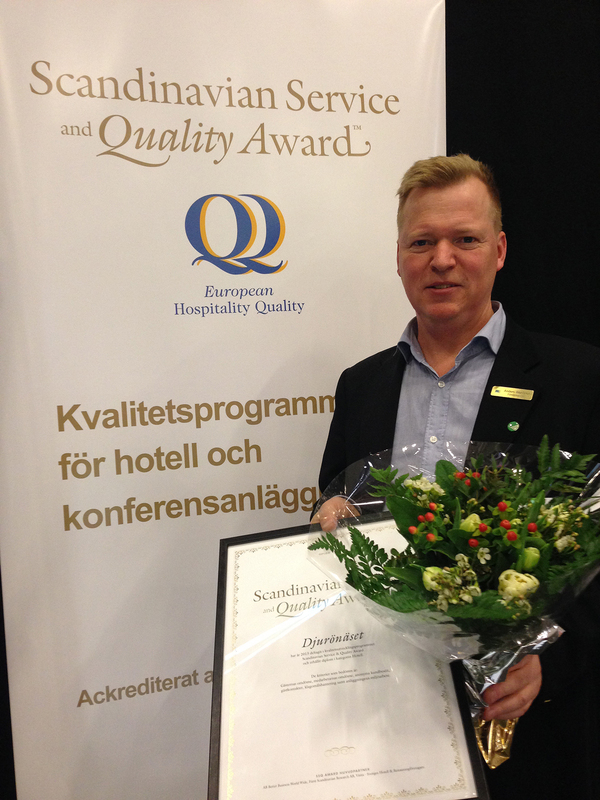 SSQ Award 2013 in the Day Conference category. Umeå Folkets Hus was represented by Tomas Renkonen and Camila Persson. 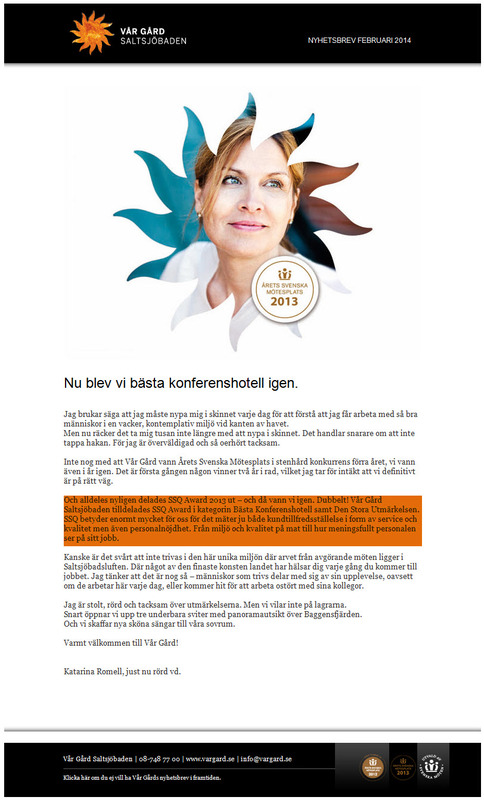 No other participant has been in the program as long as Umeå Folket Hus. They participated first time in 2002. This shows a very strong committment to continuous improvements! Sunniva Fallan Röd, Marianne Högman and Florence Cardell. 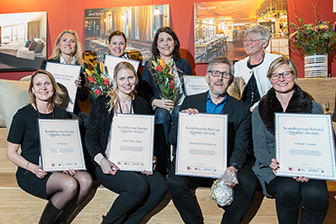 Djurönäset received SSQ Honourable Mention 2013 in the Marketing perspective. 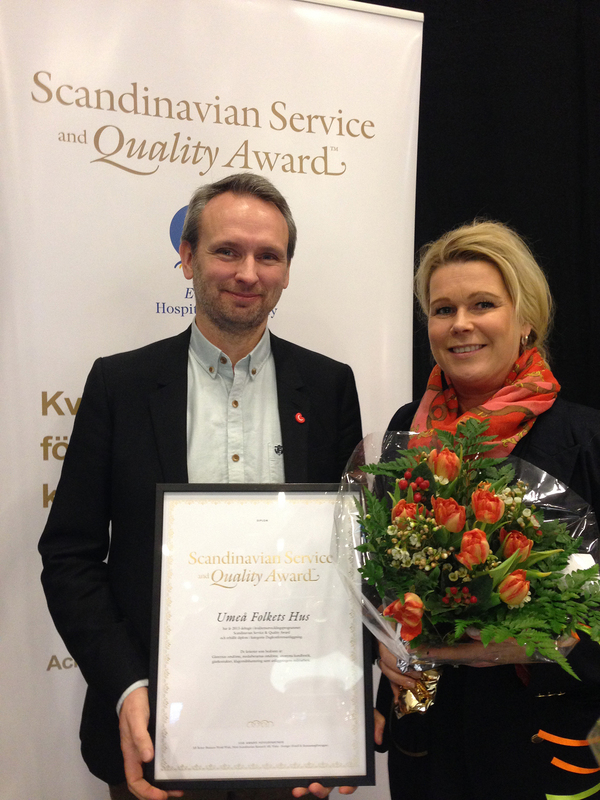 Anders Wahlström, Sales Manager at Djurönäset received the flowers and diploma at the Prize Ceremony at easyFairs Möten & Events, Kistamässan.